Start your day with the exciting flavor of curry on your dish. Prepare Curry Chicken Kebabs on your family's get together to welcome good luck ahead! 1. Combine chicken breast fillet, Knorr All-in-One + Meaty Seasoning, and curry powder in a bowl then mix well. 2. Arrange chicken pieces, bell peppers, peaches, and shallots in a skewer then grill until chicken is cooked through. 3. 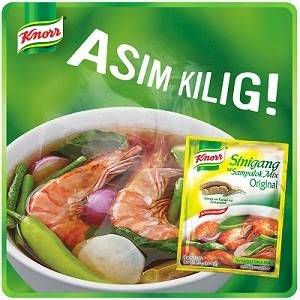 Cook Knorr Ginataang Gulay according to package directions, add, yogurt then mix well. Serve this with the grilled kebab.